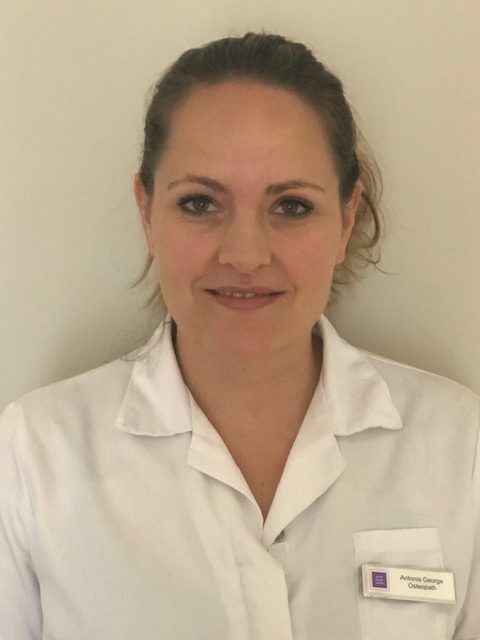 Antonia qualified as an Osteopath from the British School of Osteopathy in 2012. Prior to that, she completed an extensive 4-year long Massage Therapy course in Iceland where she specialised in Holistic Massage. Antonia has a passion for positive psychology, community wellbeing and psychosomatic medicine. In practice, she likes to emphasise on the whole patient and their lifestyle. Improving awareness is a vital part of how Antonia treats. As a vivid learner, Antonia attends various continual development courses to gain more insight and knowledge in these fields on a continual basis. She is particularly interested in treating stress-related problems and uses structural, functional and cranial approaches in her treatments. Antonia originates from Iceland and can often be found out hiking or on adventures with her son. She also admits to being a “bookaholic” and coffee snob with a love for cooking!